Online art sales continue to steadily grow year-over-year. The Hiscox report noted a 24% jump in these sales from the previous year. This upward trend can be linked to the rise of e-commerce sites that endow artists with exposure, reach, and access to projects unlike ever before. The hardest question to answer, and arguably the most important, is how can individual artists forge meaningful connections and boost their sales? One avenue is through hyper-focusing on selling to business owners, interior designers, offices, and other semi-public spaces. 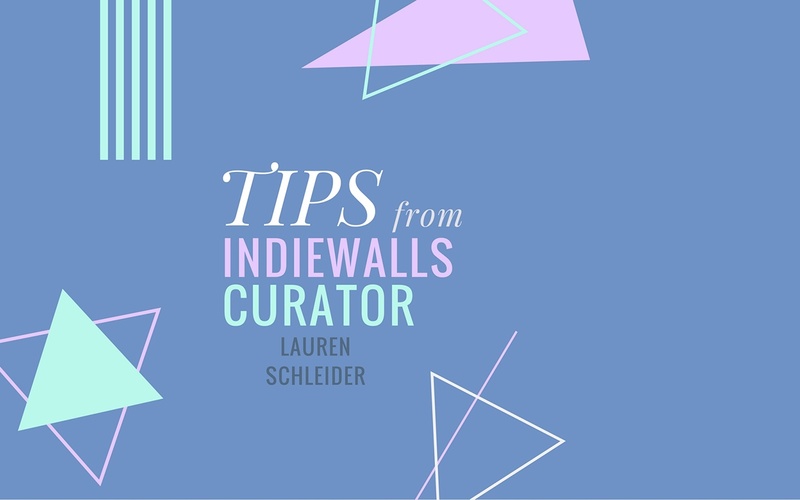 Since we excel in these avenues, we talked to our Senior Curator Lauren Schleider on some tips to help artists succeed in this arena. Interior designers often turn to social media to plug into current art trends and up-and-coming styles. This makes platforms like Pinterest and Instagram great tools for understanding a specific client or design firm’s aesthetic, and then connecting with key players on those teams. Keep a list of details you would need from a potential client—do you need to know the project budget? Conceptual inspiration? Color palette? Or something else entirely? You’ll know a client is a good fit for you if they can present these things up front. You can research and uncover commercial art buyers through sites like Houzz, which brings together interior designers, or Indiewalls. Whilte traditional galleries and consultants may base their choices on an artist’s CV, online platforms work a little differently. No matter which one you choose, one fact is true across all of them: buyer engagement is driven by your images and your creativity. Don’t waste time pitching to projects or clients that you don’t feel are the right fit; instead put that energy towards pushing your own boundaries in custom commission and calls for art. Databases like ArtFinder and Indiewalls are end-to-end consultancies, so they will handle all client communication, framing, shipping, print production, and other logistics in house. You bring the big ideas, and let the platform take care of the rest. Commercial art sales are very different from traditional gallery sales. An interior designer may fall in love with the style of your artwork, but want to incorporate custom changes to licensed prints, or even commission similar artworks to those you’ve already created. Because of this, the more willing you are to work with the client’s direction, the more sales you’ll secure. Flexibility in composition and color palette (especially) will often seal the deal for many commercial clients. Of course, you’ll always be commander-in-chief of your own artwork. Sometimes the flexibility is just in how you offer your work for sale. A happy past client is one of the best gateways to new clients. After completing projects with a consultant or a designer, make sure to follow and ask for constructive feedback on the process. Was the client happy? Could anything have been done to make the process easier? Always keep in touch with your consultant or clients, and continue to pitch new work to them frequently. This extra attention to your clients will help make you stand out and will streamline the process for future sales. An alternate version of this article appeared first on Empty Easel. Want more Art x Community?